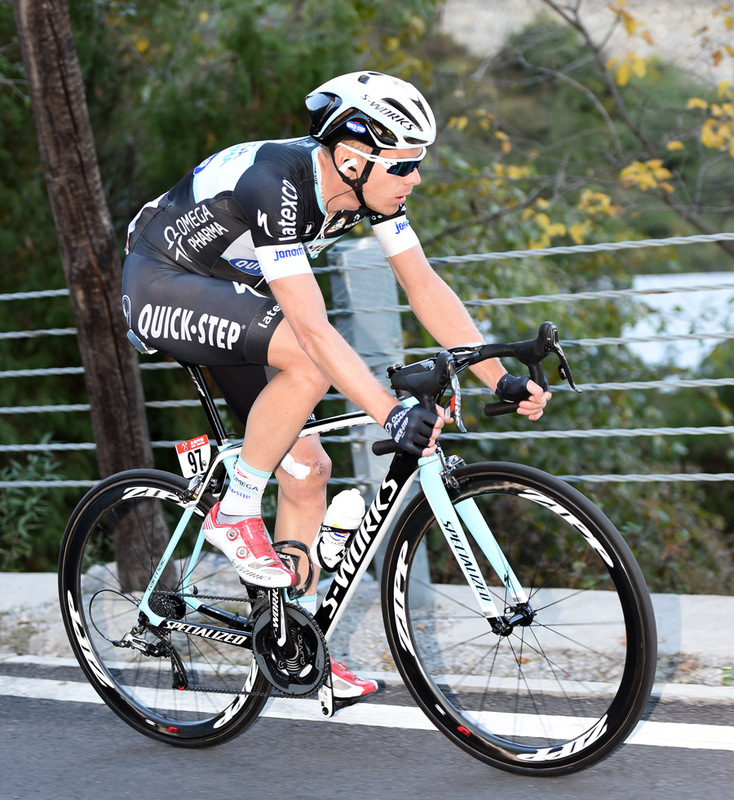 Daniel Martin (Garmin-Sharp) won the fourth stage of the 2014 Tour of Beijing on Monday after a late attack. 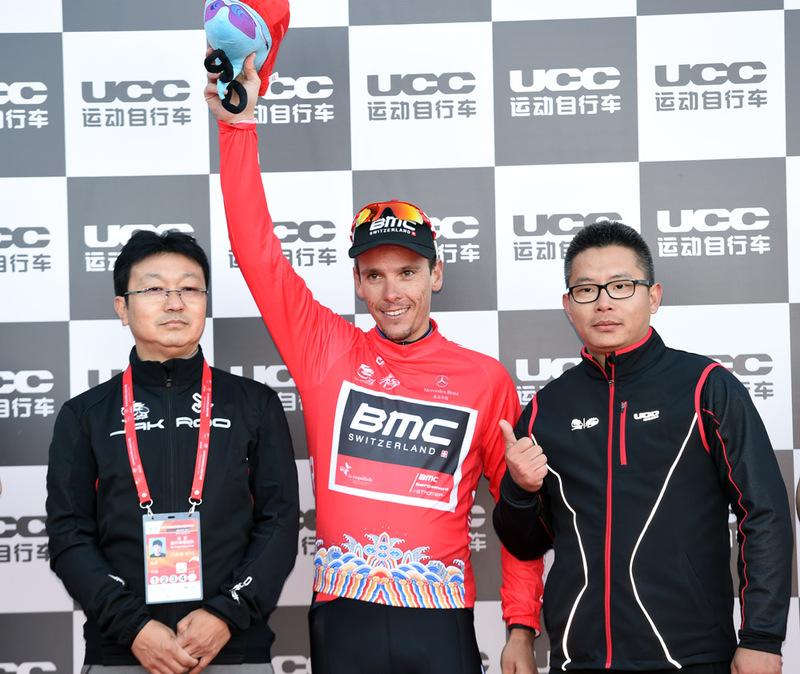 The Irishman’s move was enough to elevate him to second place overall, but third place on the stage for Philippe Gilbert (BMC) sees him hang on to the race lead going into the final day. Martin’s victory came after Garmin-Sharp team-mate Ryder Hesjedal had attacked the lead group on the final climb of Miaofeng Mountain. Hesjedal’s move put the group under pressure, serving to whittle down its number. Hesjedal was then caught within the final two kilometres, and shortly after Martin attacked. Esteban Chaves (Orica-GreenEdge) was the first to react to Martin’s move, followed by Gilbert and Rui Costa (Lampre-Merida). Martin accelerated again in the final few hundred metres to go clear. Chaves came in for second with Gilbert placing third and crucially grabbing enough bonus seconds to keep the race lead. 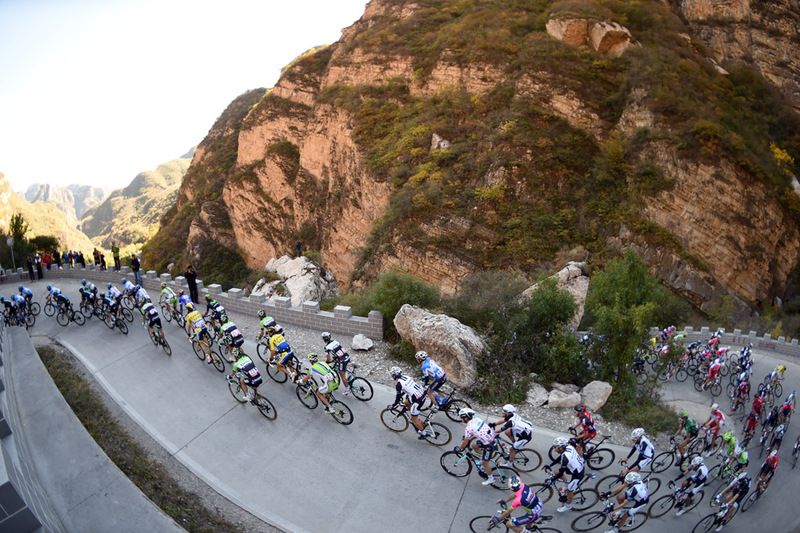 A four-man break of Graeme Brown (Belkin), Guillaume Boivin (Cannondale), Boris Vallee (Lotto-Belisol) and Julien Vermote (Omega Pharma-QuickStep) shaped much of the day’s action before the final climb. 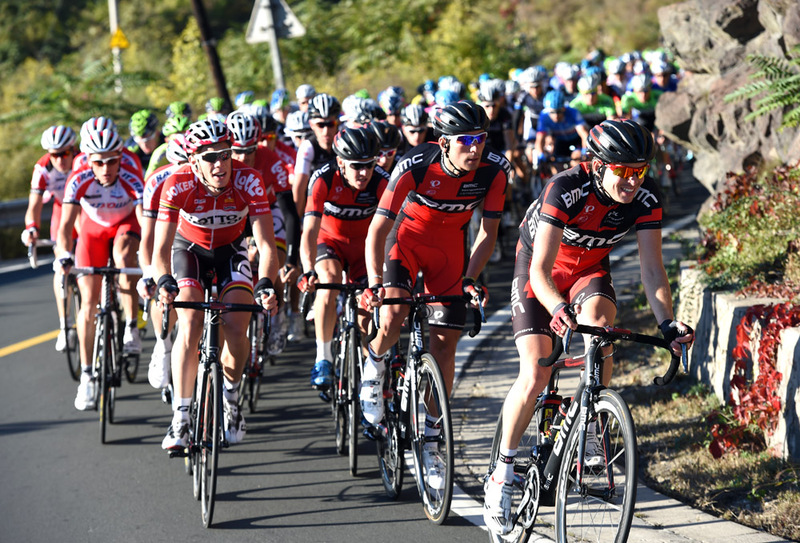 Gilbert’s BMC team led the pace-setting in the peloton to keep a check on the break’s time gap. Brown was the first to get dropped from the escape, and then Vermote attacked Boivin and Vallee at the bottom of the day’s final ascent with 12 kilometres to go. 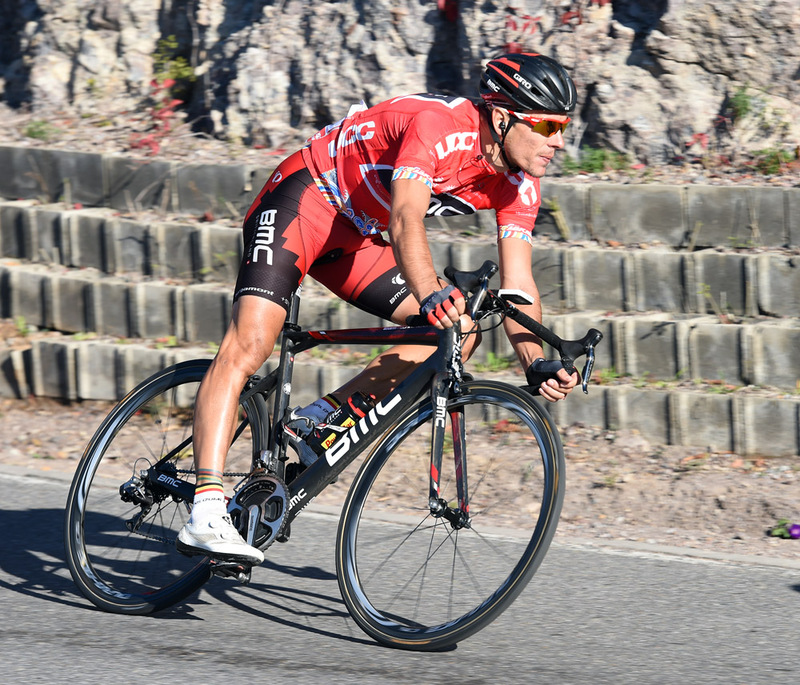 There was a flurry of attacks from the main group with BMC unable to maintain control. Louis Vervaeke (Lotto-Belisol) broke free to catch and pass Vermote but his solo effort was relatively short-lived. He too was caught right before Hesjedal launched himself from the group to set up the win for team-mate Martin. Martin’s victory has added further to Garmin-Sharp’s late season purple patch, joining Tyler Farrar’s sprint win on the previous day’s stage in Beijing and Martin’s victory in the Tour of Lombardy. Tuesday’s final, flat circuit-based stage from Tiananmen Square to Bird’s Nest Stadium will offer a slim chance for Martin to wrestle the race lead from Gilbert. He will have to try and gain bonus seconds in the two intermediate sprints to overhaul Gilbert, something which seems an unlikely scenario given the Belgian’s superior sprint kick and strength of his BMC team.